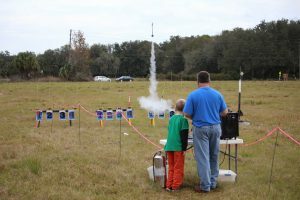 Septem ber 27, 28, and 29 – Orange County Library – Alafaya Trail Branch: Come be a “Rocket Scientist” with us! 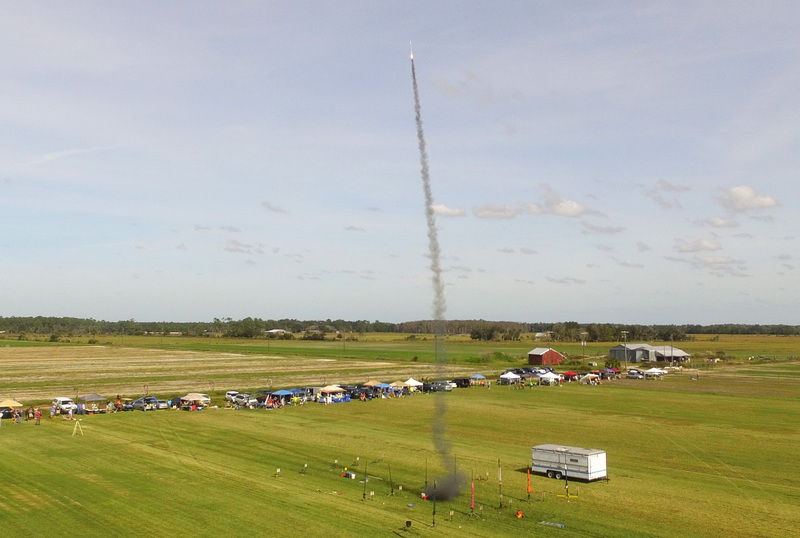 Build, design, fly, and keep your own model rocket in this three night educational series! 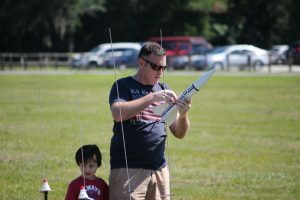 Join Rocketry of Orlando’s Community Kids to construct your own rocket, and learn about how each of these pieces work together to make for a smooth flight. 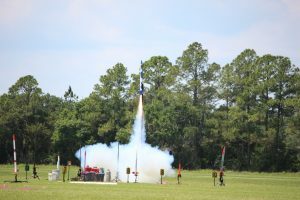 On Saturday (October 1), you can join ROCK at the Econlockhatchee State Forest to send your rocket hundreds of feet into the sky! Recommended for ages 11 and up. Seating is limited. Registration is recommended. Below is my video of NEFAR’s May, 2016, launch. 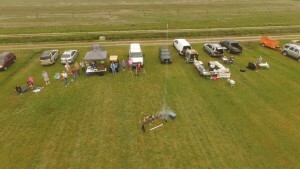 ROCK’s monthly launch on May 7, 2016, as captured by a remote-control quad-copter, is shown in the video below. NEFAR’s two-day “Half-Blast” took place the weekend of April 9-10. Under beautiful blue skies, rockets took flight both days. Here are some videos and links to still photos of the launch. 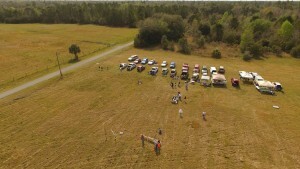 Below is the video I created of the March, 2016, ROCK launch in Oviedo, FL. I used a DJI Phantom 3 Professional quadcopter to record aerial footage of the launches and edited them together using Adobe Premiere. NEFAR held its monthly launch on February 13. The Valentine’s Day Eve event was held under clear blue skies. 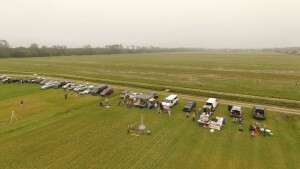 A record crowd (for February) lined the launch site. Still photos of the launch have been uploaded to the RocketReviews.com photo album at http://www.rocketreviews.com/february-2016-launch.html. Additional photos and video are in the NEFAR gallery. It was foggy in the morning and it remained foggy until the early afternoon. Because of the weather, we were mostly limited to low-power flights, but a few larger rockets were launched. Above is a video I made at the launch. 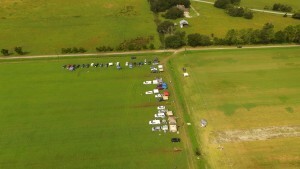 It captures the events from an aerial perspective. As you can see, there was very little wind. 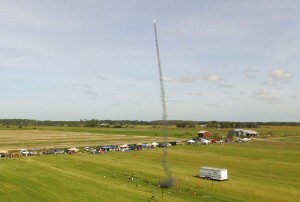 Often, the column of smoke from a flight would linger in place long after the launch. ROCK’s first launch of 2016 was held on January 2 at the Barr Street launch site. Below is a short video I made of the day’s launches. 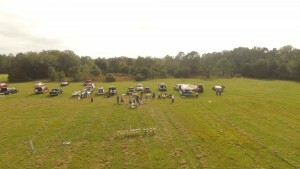 Bunnell Blast is NEFAR‘s annual Fall two-day research launch. Held November 14 and 15, this year’s launch attracted a large number of flyers. On Saturday, nice weather and separate high-power and low-power ranges resulted in rockets being launched almost continuously. Sunday’s weather wasn’t quite as nice, but it didn’t stop the fun. Here’s a video I produced from aerial recordings of launches from both days. You can find more photos from the launch on the NEFAR Facebook page. If we had checked the weather forecast for Saturday, we might not have made the trek to Bunnell for the September NEFAR launch. The forecast called for up to an 80% chance of rain. But, as often is the case, the rain stayed away allowing us to fly into the afternoon. Apparently punching holes in the skies with rockets is an effective method of warding off showers. In addition to the video above, I took some still photos which you can view in the RocketReviews.com NEFAR Photo Gallery.